What’s an obsessed knitter to do when she has a growing assortment of knitting needles and nowhere to store them? 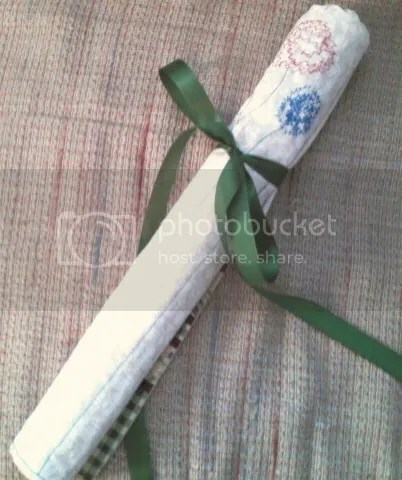 Make a knitting needle case, of course. I had a few small pieces of fabric sitting around that went together reasonably well. Anyway, how hard can it be. All you have to do is sew straight lines! Well, it turns out that sewing straight lines is a little harder than I thought, but I’m happy with the result. 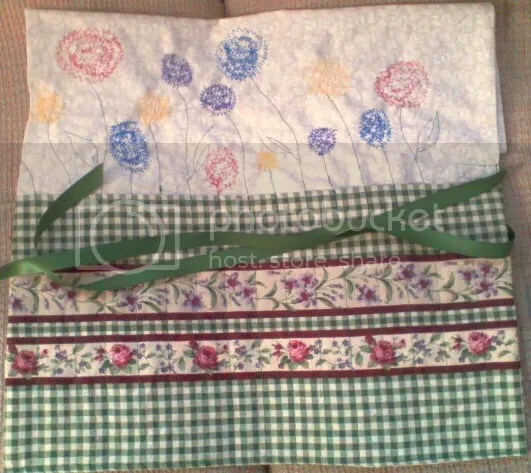 It seemed a little plain when I was done, so in keeping with my floral print, I added some colourful wildflowers swaying in the breeze and finished it off with a lovely green ribbon to tie it closed. Pretty! Hope it makes you smile every time you take your needles out. Thanks 🙂 It does. Especially on a grey day.